Relax, you’re in good hands. A Trained Massage Therapy Professional may provide you with relief from back pain, depression, muscle aches, headaches, stress, fibromyalgia and symptoms from cancer and a whole list of other conditions. 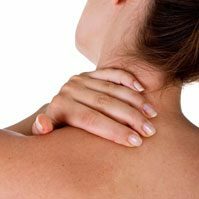 There has been much research on the effectiveness of massage therapy techniques such as Deep Tissue Massage, Pressure Point Massage and Auto Accident Massage. You are welcome to do a little of your own research by taking advantage of a $59 Introductory Massage Special at St Paul Chiropractic & Natural Medicine Center. Looking for a skilled St. Paul massage therapist in the St. Paul area? Look no further than St. Paul Chiropractic & Natural Medicine Center. Our goal is to provide you with life and health enhancing effects through natural healing, including massage. If you feel like you are suffering and need to find relief, find it with one of our skilled massage therapists at St. Paul Chiropractic & Natural Medicine Center. No matter what type of injury you have, if you are in pain, you’ll do almost anything to alleviate it. At St Paul Chiropractic & Natural Medicine Center, we absolutely understand this and we want to help. The truth of the matter is that no patient is ever the same. Some require less treatment, some require more. Some require different methods and techniques, some require a combination of methods. At St Paul Chiropractic & Natural Medicine Center, we are a chiropractic clinic that offers so much more. Through chiropractic adjustments and massage therapy, we aim to get you back on your feet and back on the road to recovery in a timely manner.